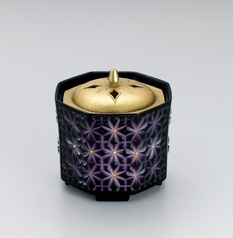 MATSUMOTO has produced a large number of lacquer works and mainly applies the choshitsu (carved lacquer) technique. 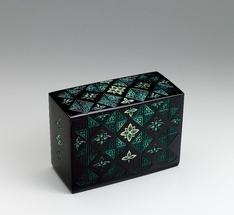 Choshitsu requires much time and effort, as coats of lacquer are repeatedly applied and polished to create dozens of layers. 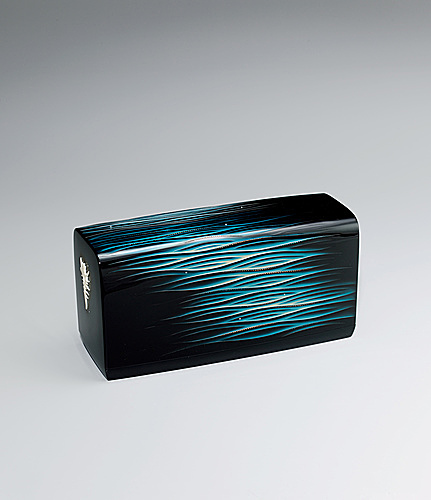 A chisel specially made for lacquer carving is used to cut the design into the layers. 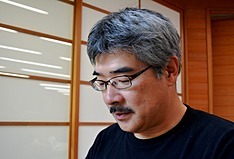 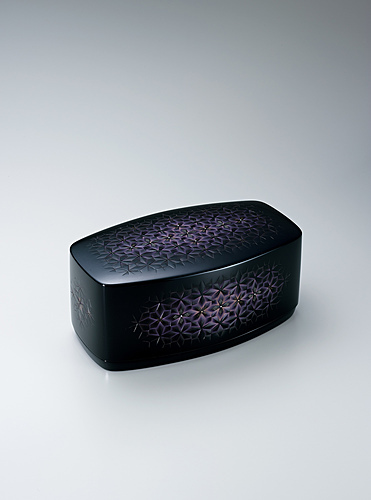 His designs include the objective expression of flower patterns, abstract geometric patterns, and guri (stylized bracken-leaf shapes forming repeated curved lines). 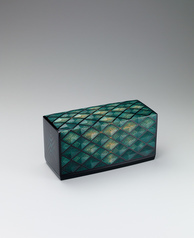 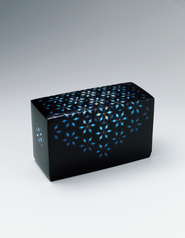 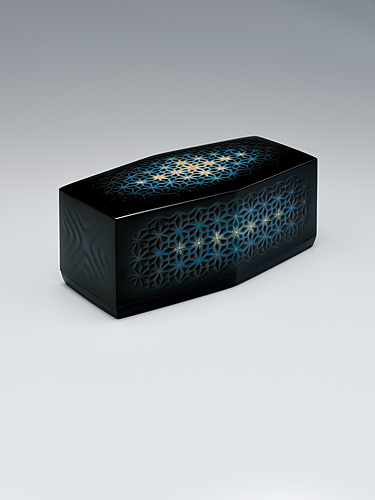 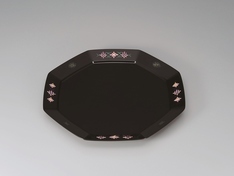 Box with snow crystal design in colored urushi carving.